If you're know us, you know we love fashion and DIY projects. 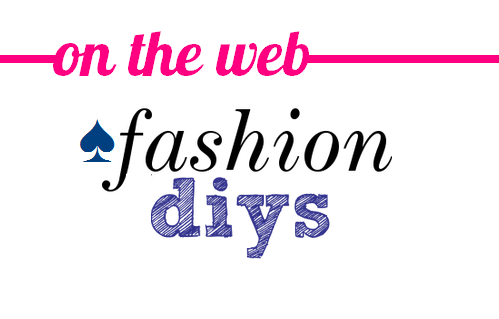 Fashion DIYs is the best website to discover new fashion DIY projects and DIY fashion blogs! Fashion DIYs brings fashion DIY projects to one convenient source, with daily updates from our favorite DIY fashion blogs. All projects link back to the original blog post, so readers can find out how to recreate the looks. Looking for something specific? The projects are sorted by photo and by categories like clothes, bracelets, shoes, etc. The best part is that you can create some fabulous designer looks on a budget, and this website will give you the links that let you know how. Check out the site at www.fashiondiys.com. Time to get our DIY on!